A Kentucky man was formally charged Thursday with stealing a pickup truck from a local resident, causing a pursuit and striking another vehicle. A Fort Wayne officer was on the lookout for a white Ford F-150 pickup reportedly stolen at the Phillips 66 station at Broadway and Washington about 11:30 p.m. Jan. 25. The stolen truck was being chased by the owner, court documents said. A few minutes later, the officer spotted the truck at Taylor Street and Portage Boulevard. The driver inside looked in the officer's direction as he went by at high speed. The suspect, Emzy McClelland Thornsbury Jr., 28, of Louisville, Kentucky, then led police on a high-speed chase through the Taylor Street neighborhood and around Rockhill Park, blasting through the four-way stop sign at Taylor and North Washington Road, court documents said. The officer stopped the pursuit, but a few minutes later, Thornsbury was involved in a hit-and-run crash in the 5900 block of West Jefferson Boulevard that left a car damaged, documents said. Thornsbury drove to the 5900 block of Wilkie Drive, where he struck a concrete barrier, damaging the stolen truck, court documents said. Thornsbury fled on foot until he was caught in the parking lot of PNC Bank on West Jefferson Boulevard, court documents said. Thornsbury was charged with auto theft and resisting law enforcement and misdemeanor failure to remain at the scene of an accident. 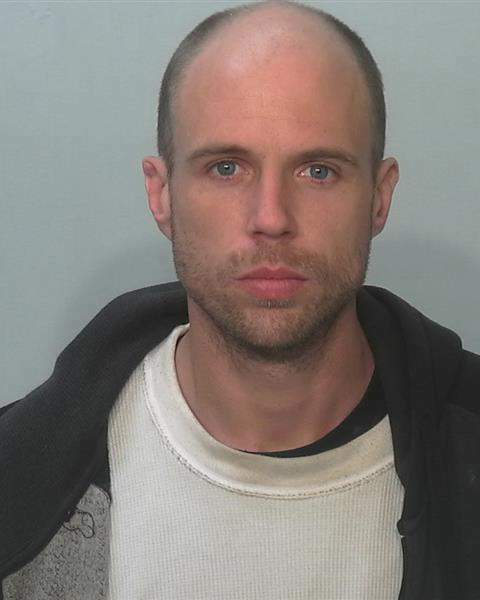 He was being held at the Allen County Jail in lieu of $10,000 bail. His next court hearing is Monday.